COLUMBUS — Republican legislators in Ohio are bracing for a veto fight with GOP Gov. John Kasich as the national health care debate hits the 2016 presidential contender on his home turf. Conservatives have called on the outspoken Kasich to set a national example by leaving in place a state budget provision calling for freezing new enrollment under Medicaid expansion starting July 1, 2018. 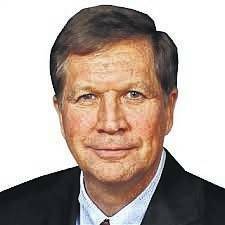 Kasich must decide by midnight Friday. Allowing the freeze would mark a stunning reversal for Kasich. He’s been one of the Republican Party’s most vocal defenders of the expansion, made possible under the federal health care law reviled, and now targeted, by his party. Striking the provision, however, threatens to destabilize Ohio’s budget and to harm Ohio’s Republican legislators with their constituents in the politically divided battleground state. Some 700,000 low-income adults are now covered under Ohio’s expansion, at a cost of almost $5 billion — most of which is picked up by the federal government. The Kasich administration has estimated that 500,000 Ohioans could lose coverage under a freeze within the first 18 months. Anticipating his veto, Republican budget writers made sure not to count on savings from the freeze to make the budget balance, as the constitution requires — but critics have noted that retaining the expansion continues to force the program’s required costs on the state. In an email to supporters, the free market Buckeye Institute used the title of Kasich’s recently released book, “Two Paths,” to frame the issue. The $65 billion-plus spending bill, which cleared the Legislature on Wednesday, sets Ohio’s budget for the two years starting Saturday. It orders Kasich to seek a waiver from the federal government allowing Ohio to suspend new enrollment under Medicaid expansion, which made the government health insurance benefit available to more low-income adults, including the working poor, mentally ill and drug addicted. Ohio lawmakers would freeze new expansion enrollment, as well as prohibiting people who temporarily drop off the program by finding work from re-enrolling if they later lose their job. Exceptions to that were made for those undergoing mental health or drug addiction treatment. Kasich’s office said Thursday that it was reviewing and studying the state budget bill before announcing any veto decision. A tentative override vote is already scheduled for July 6. In addressing the U.S. Senate’s now-scuttled health care bill earlier this week, Kasich showed little sympathy for fellow Republicans caught in a politically untenable position after so many promised voters that repealing the federal law, commonly called “Obamacare,” would be their priority. “I try not to make campaign promises that I can’t keep, and if I make one that I think doesn’t measure up, I’ve got to be a big enough person to say I’m looking at it in a different way,” he said. “But I don’t think that it makes any sense in America today (to repeal expansion) — and, by the way, even though we’re just talking about the poor, over time these kinds of actions will impact the middle class.” He said without coverage for basic health care, more people will use emergency rooms and drive up overall health costs for everyone. The Ohio Medicaid Coalition urged Kasich to veto the freeze and waiver provisions, as well as new work requirements state lawmakers attached to the program. “In combination, these provisions will remove access to health care for hundreds of thousands of Ohioans who currently rely on it to take care of basic health care needs, chronic physical and mental health diagnoses, as well as drug and alcohol addictions,” its letter to Kasich said.